Good customer experience doesn't end once the sale is completed – FRAMECAD provide the tools that support your business and ensure your success whilst using, our range of world-leading software & manufacturing equipment. FRAMECAD have been breaking grounds in providing the widest range of online support and training programs and are all available on the exclusive MyFRAMECAD cloud-based customer portal. Providing the only complete end-to-end system for Cold Formed Steel (CFS) FRAMECAD excel in providing information related to your enquiry. Because other systems don’t provide a complete compatible offering, there can be a large ammount of problem solving between different providers and equipment. This can make it exceedingly harder to solve problems, train staff for multiple platforms and string out the education process. The MyFRAMECAD Knowledge Centre is a comprehensive centre for all of your support needs when it comes to construction with Cold Formed Steel (CFS). The Centre is accessible 24/7 via the cloud from anywhere in the world. 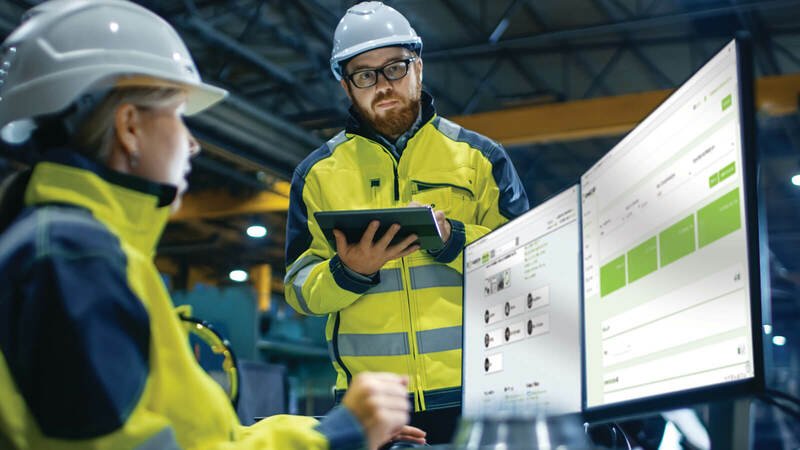 It features smart content search capabilities, smooth communications with FRAMECAD experts, personalised recommendations for how-to and informational content and is accessible via any device. As you employ the FRAMECAD design-led process with the help of the Knowledge Centre, you tap into an unparalleled reservoir of insights and technical know-how about CFS that you can access anywhere, as soon as the need arises. Providing one place where you can access project data, make inquiries and read essential, personalised how-to articles as needed, at any time. The Knowledge Centre helps engineers and architects improve business intelligence and execute projects more efficiently, with prompt problem resolution and convenient access to a wide range of frequently asked questions, operational manuals and design advice. With a single login for the Knowledge Centre and all other parts of the MyFRAMECAD Portal, you’ll avoid confusion and have an easier time getting to the information you need. The Knowledge Centre comes with an intelligent search function so you can get to the specific info you need on any part of the FRAMECAD system, from training to equipment to Frequently Asked Questions (FAQs), faster. All of your MyFRAMECAD account details, along with all the materials in the Knowledge Centre, are hosted securely in the cloud. That means you can access the Centre from any device you have on hand — whether it’s a mobile phone or a laptop, at any time. Whether you're on the construction site, or simply away from the office, it’s critical to be able to quickly make an inquiry or look up important data. And your mobile phone is often the only web-enabled device that’s immediately within reach. You can securely access the MyFRAMECAD Portal and the Knowledge Centre through your smartphone, thanks to the mobile-friendly design. Get all your CFS construction support in one place, anytime, from anywhere. You shouldn't have to jump over a series of hurdles, just to order parts or tap into the knowledge and technical data that a project may call for. And, there should be no confusion on how to get support, no matter the level of support you need. FRAMECAD truly believe in those principles of customer support excellence. That’s why we have created the Knowledge Centre to be the place where you can get in touch with CFS experts, upskill your team on every aspect of the FRAMECAD process, and gain all technical support you need on time, every time. Learn more about the FRAMECAD system and gain knowledge central to business success. Enquire now for more info about MyFRAMECAD and the Knowledge Centre. Already using the FRAMECAD system? Access your MyFRAMECAD account here.